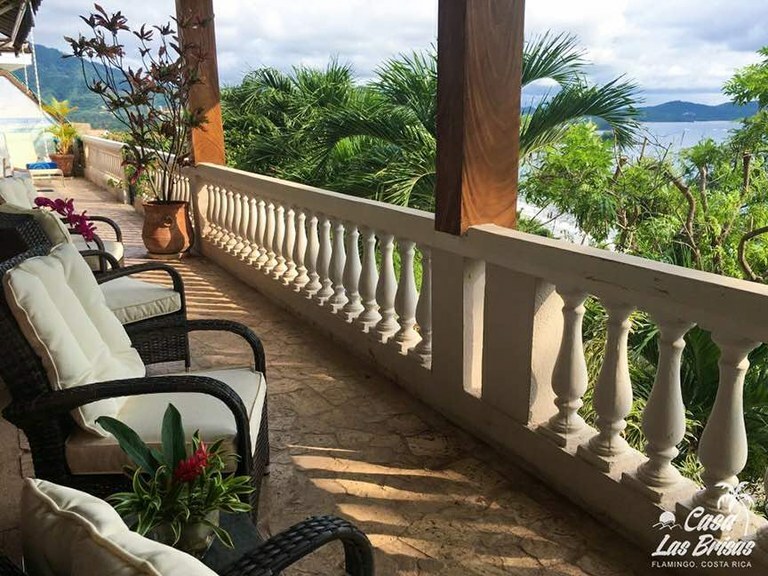 Enjoy views of the Pacific ocean from the private pool featuring native Colombian Coralina stone, or from the upper terrace complete with outdoor wet bar. 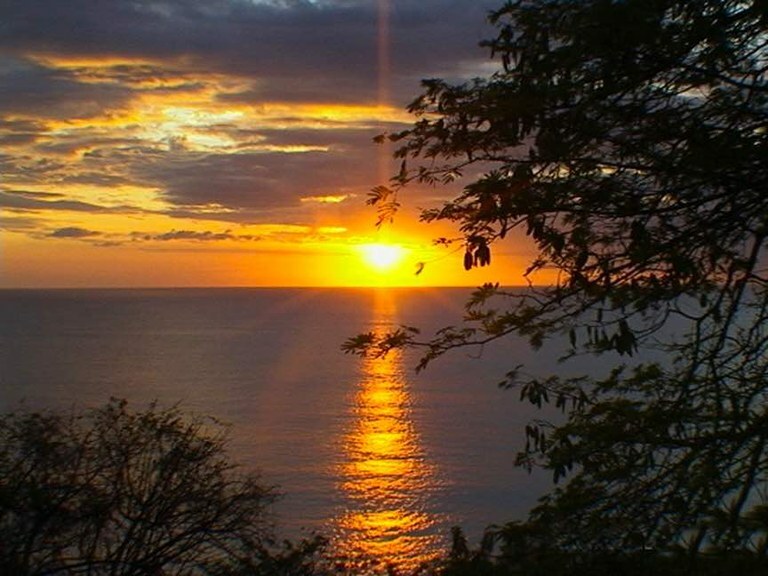 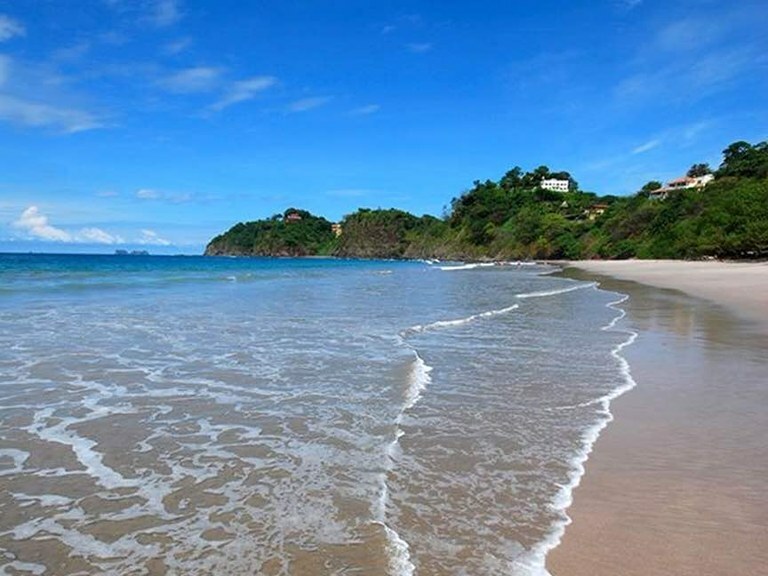 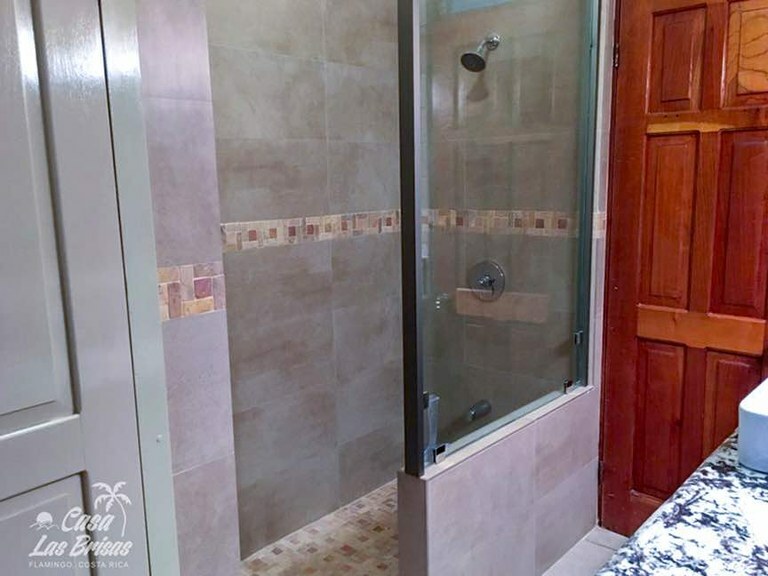 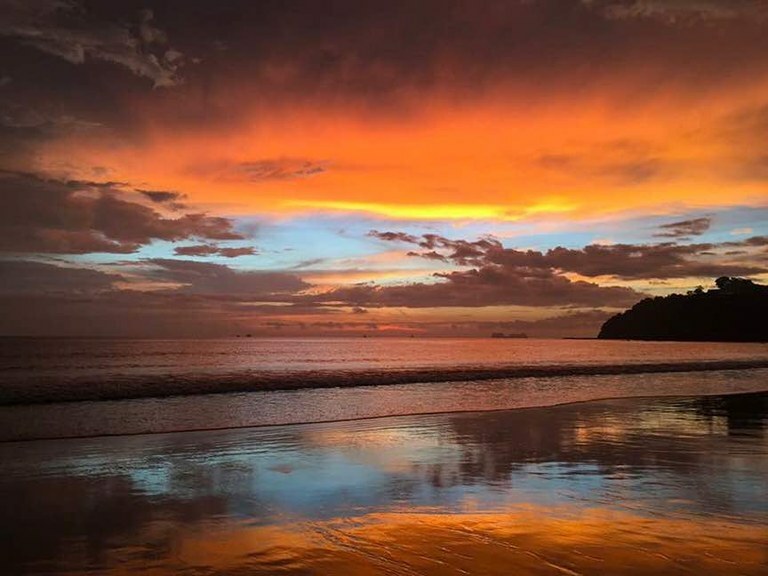 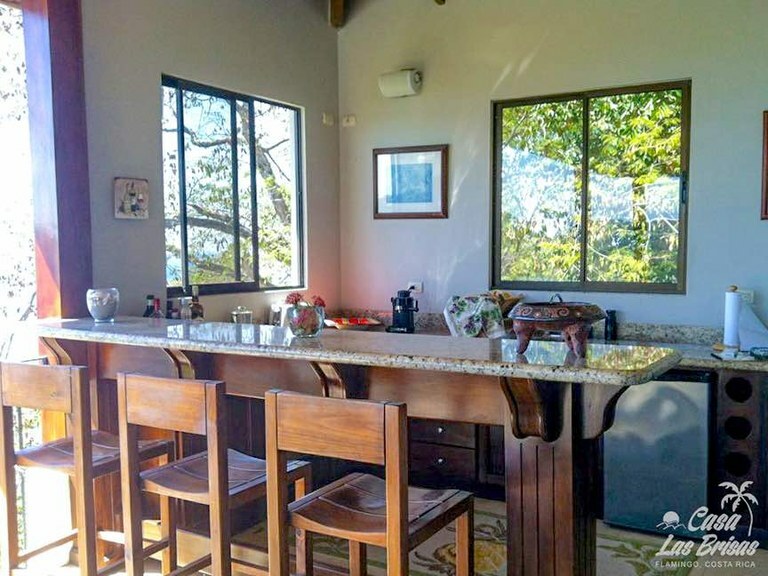 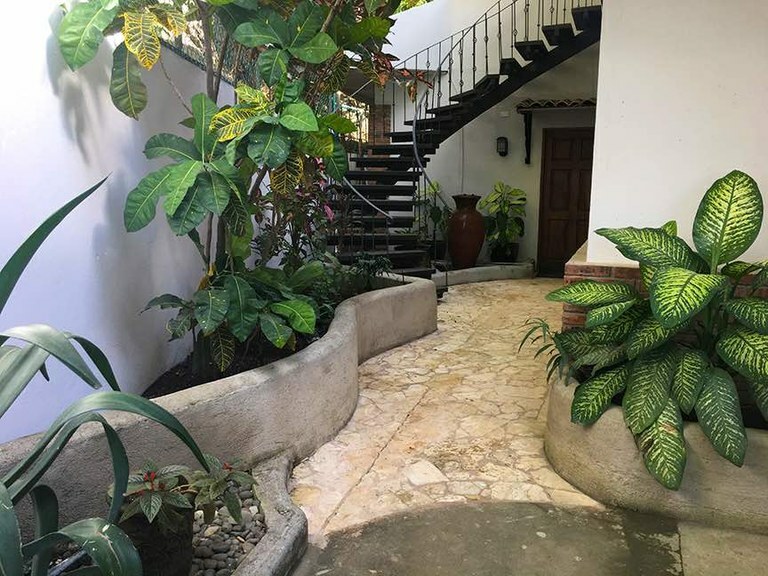 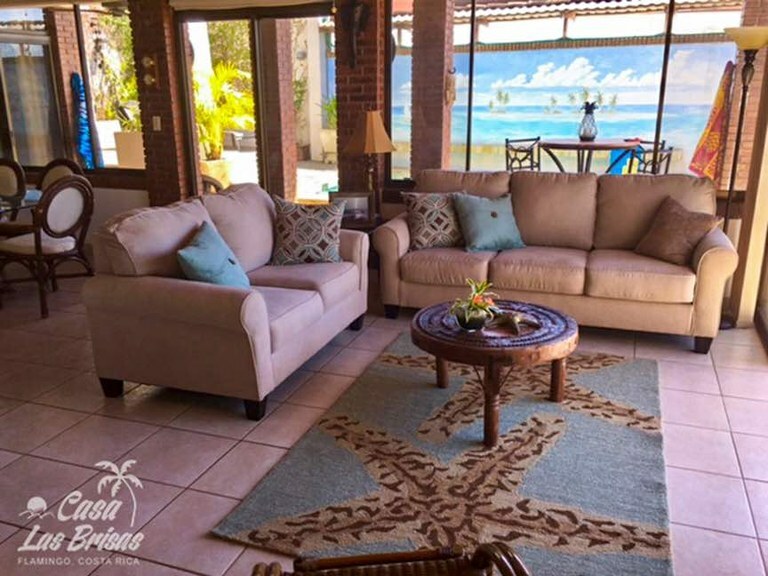 The villa is fully air-conditioned and only a short walk to a mile long beach of pristine white sand that is rated one of the best in all of Costa Rica. 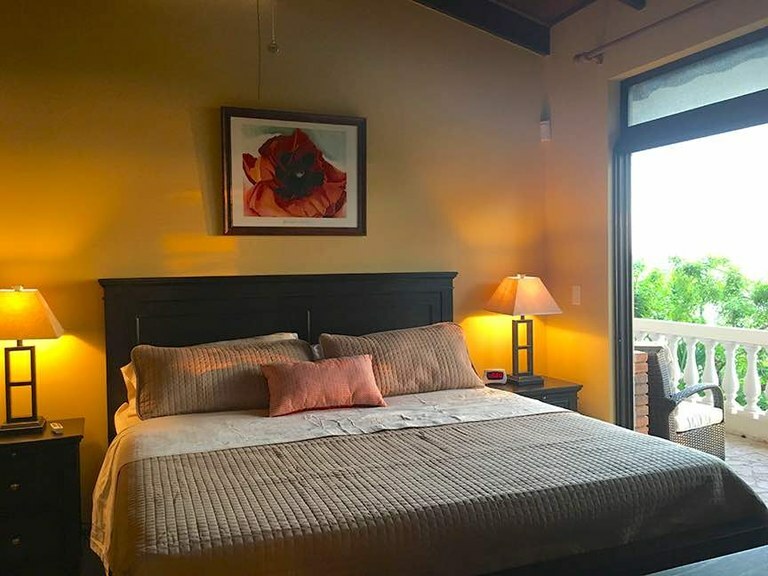 One recent guest commented: “The house is amazing and meets all of our needs, the attention to detail is fantastic.” We promise, the sunset view is spectacular! 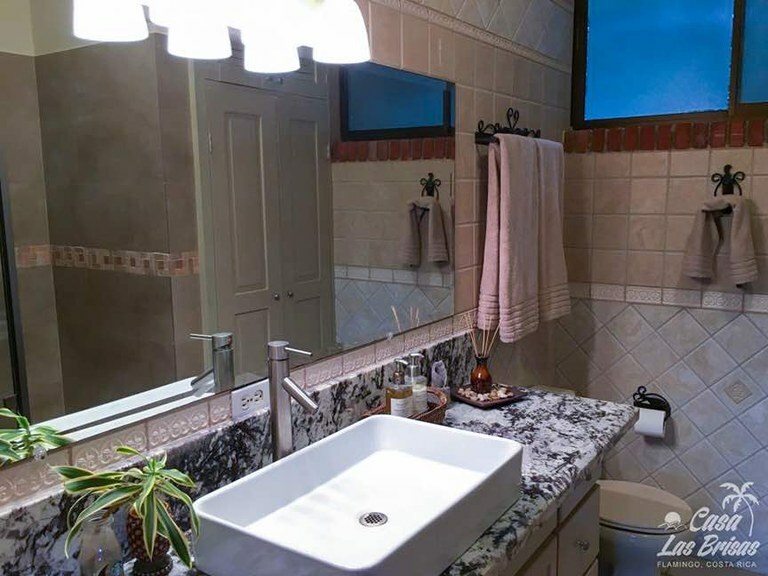 Everything you need is nearby! 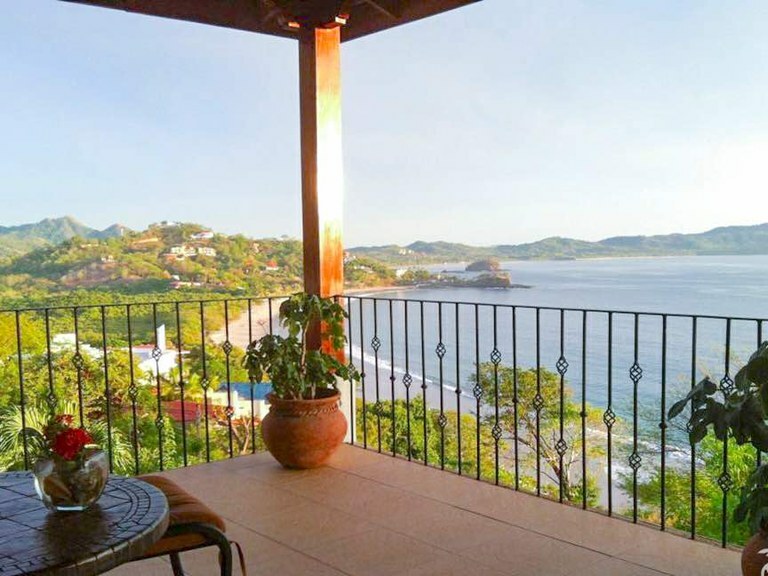 We have amazing restaurants and bars right down the road from the villa. 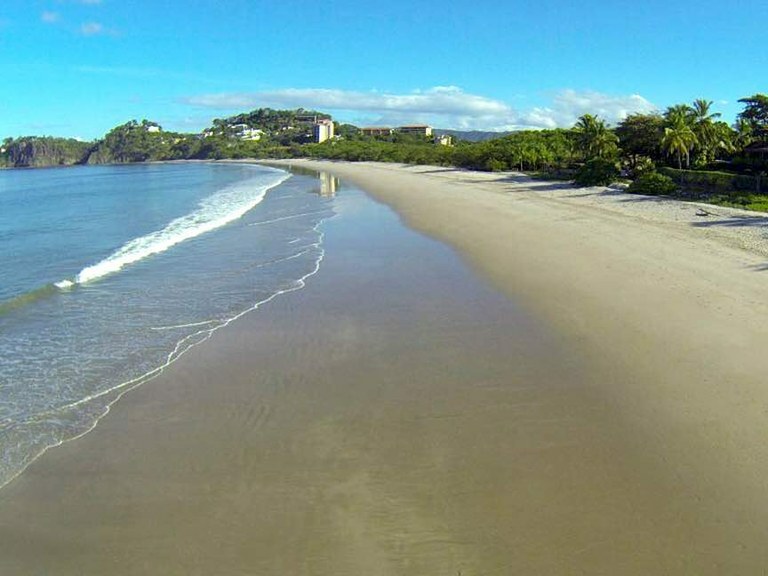 You will also find grocery stores, banks, ATMs and shopping. 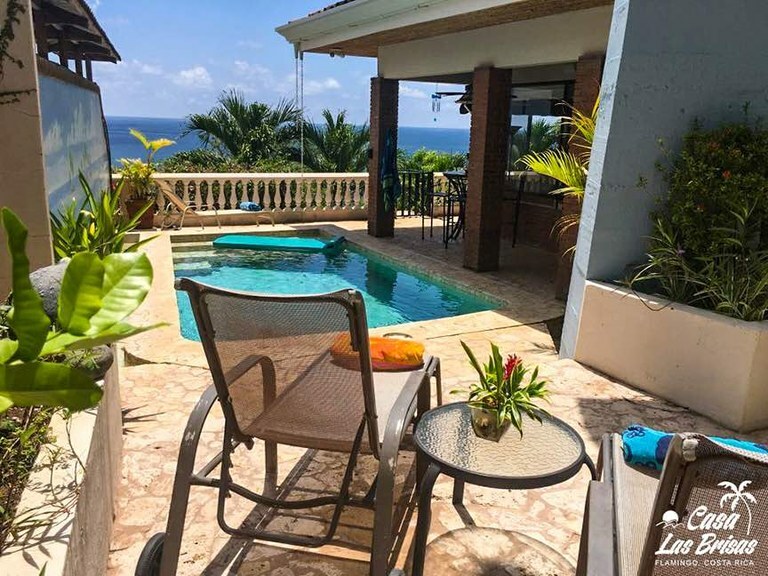 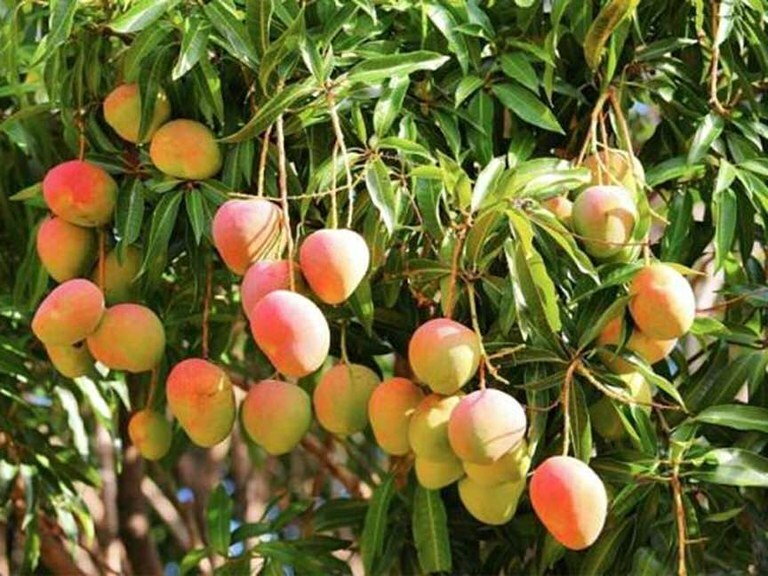 And area activities include golfing, scuba diving, snorkeling, surfing, deep sea fishing, zip lining canopy tours, horseback riding, river tours. 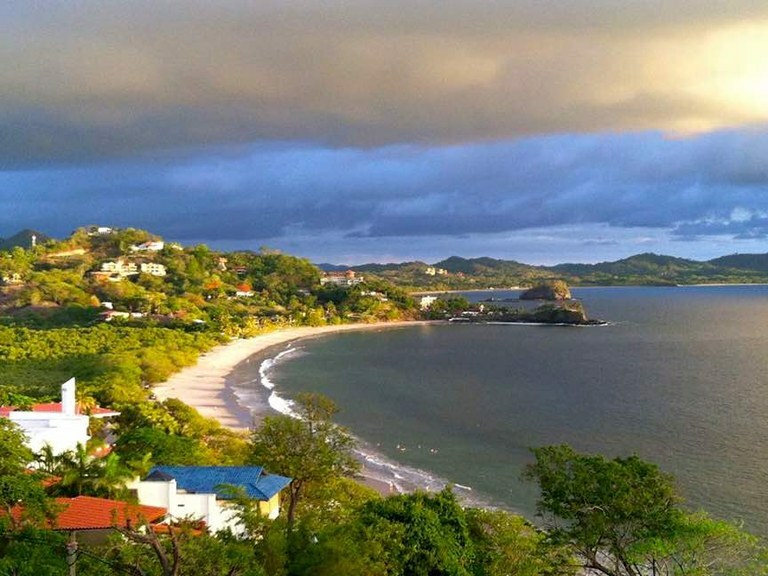 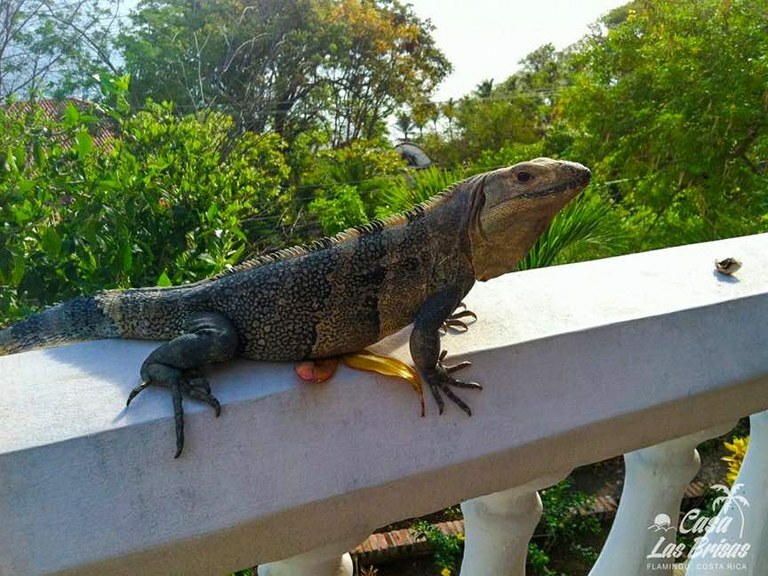 Costa Rica is known for it’s amazing wildlife, National parks, and nature preserves. 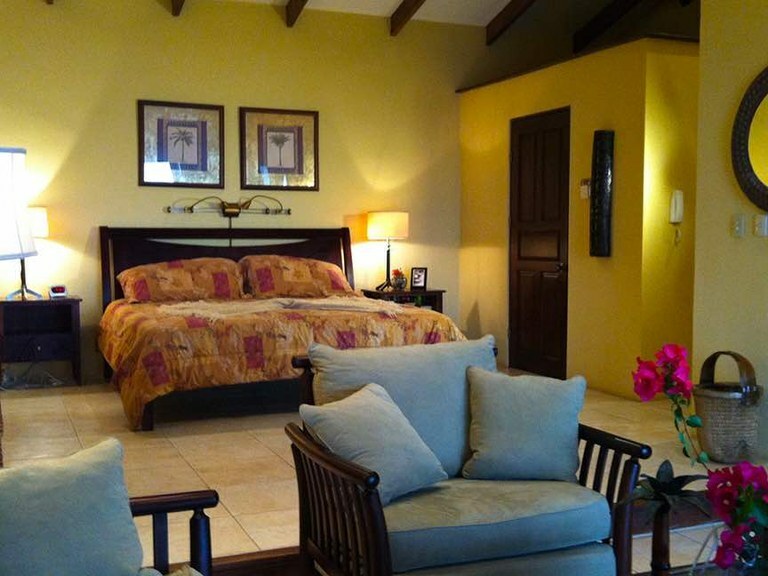 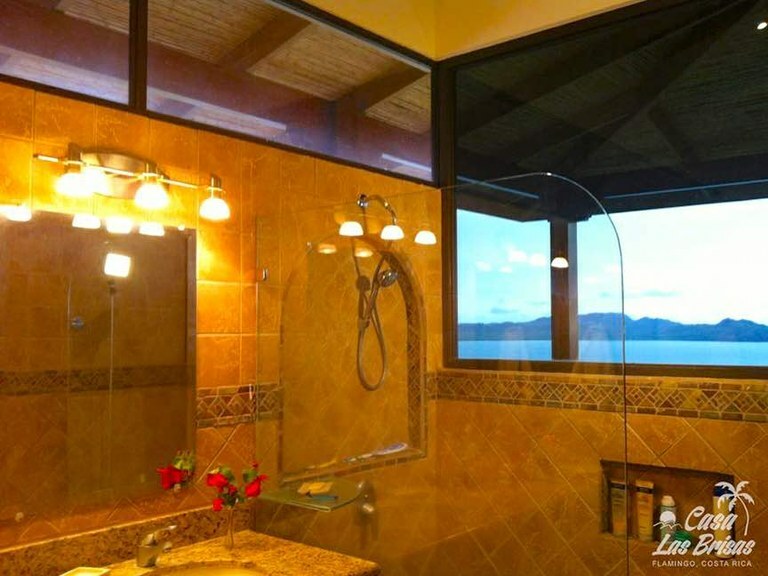 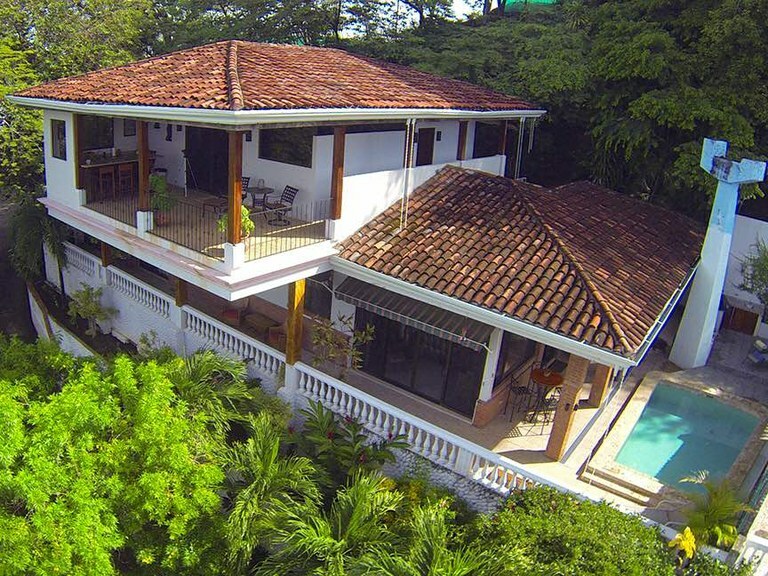 Stay at our villa, Casa Las Brisas, for an amazing home base as you explore all the Costa Rica has to offer. 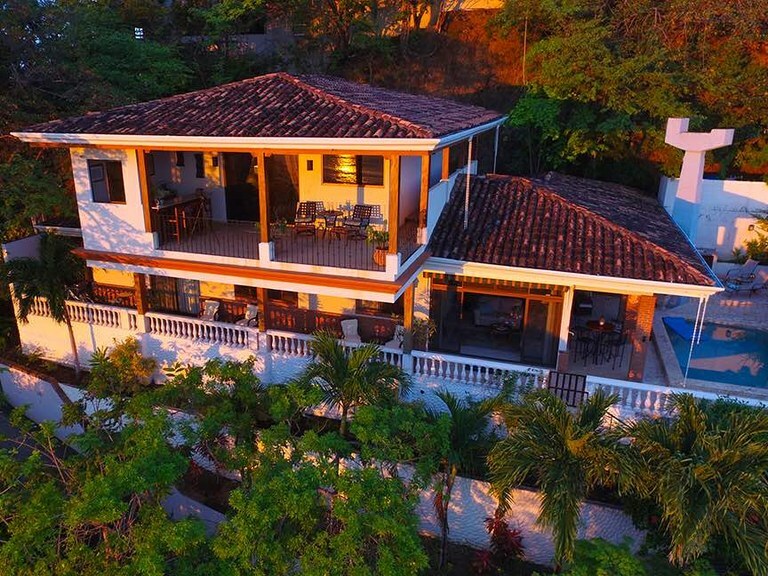 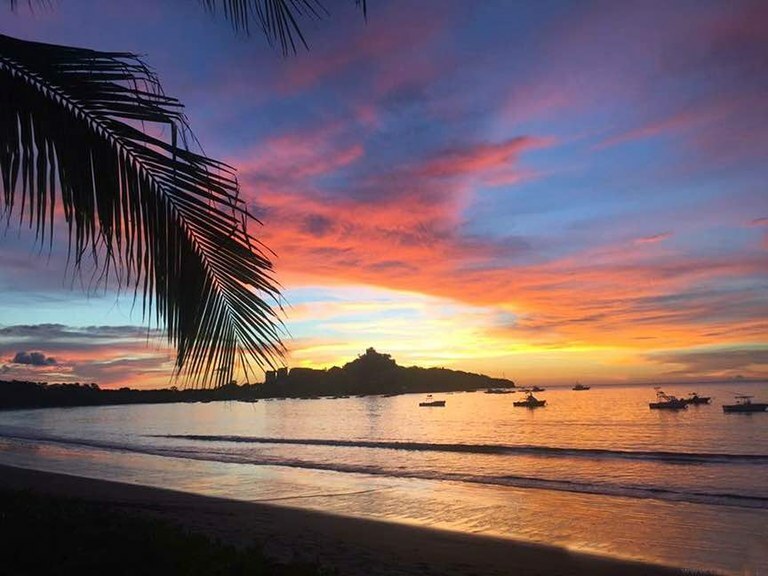 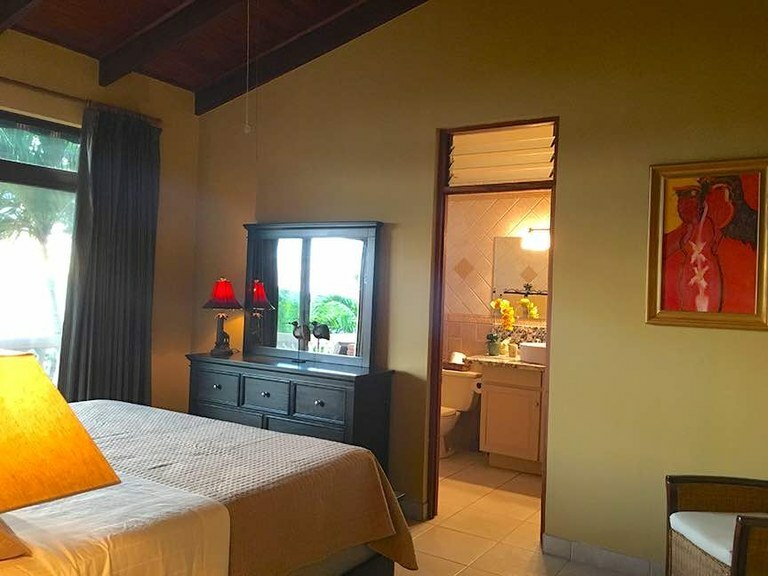 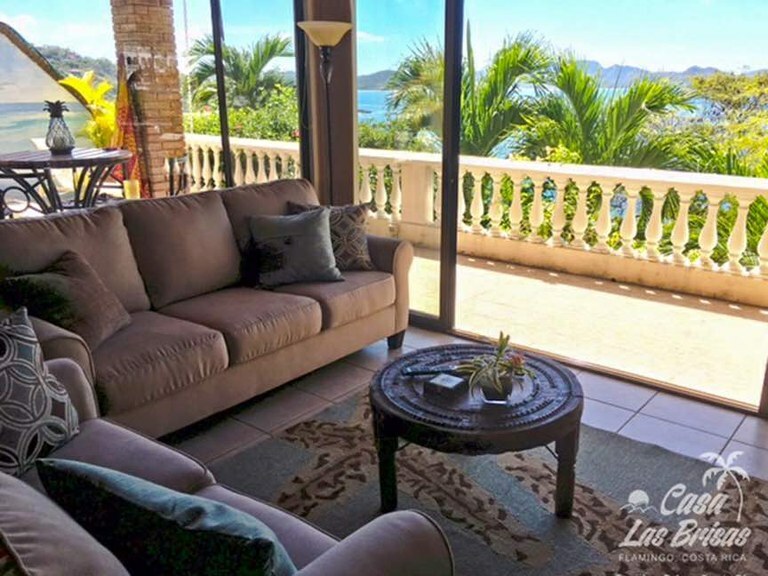 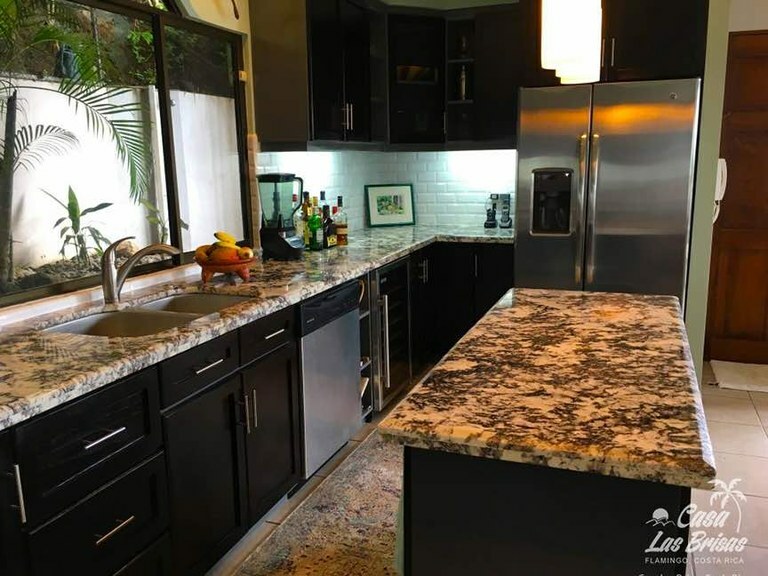 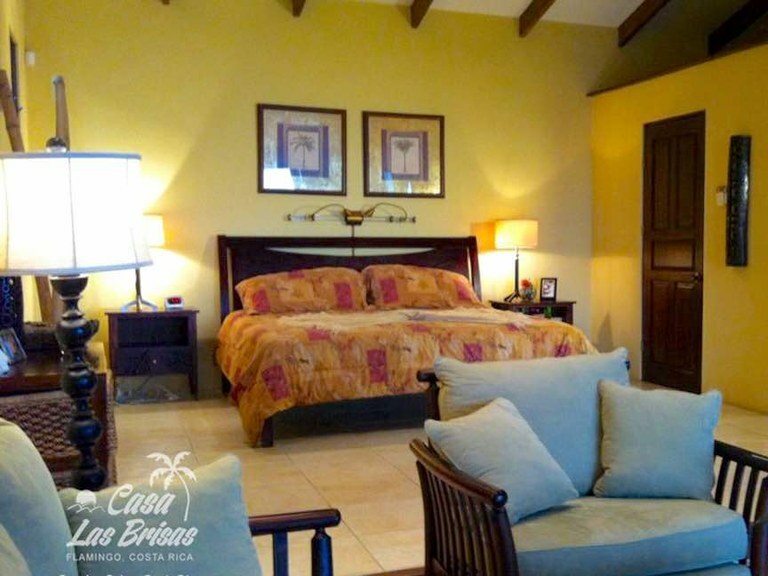 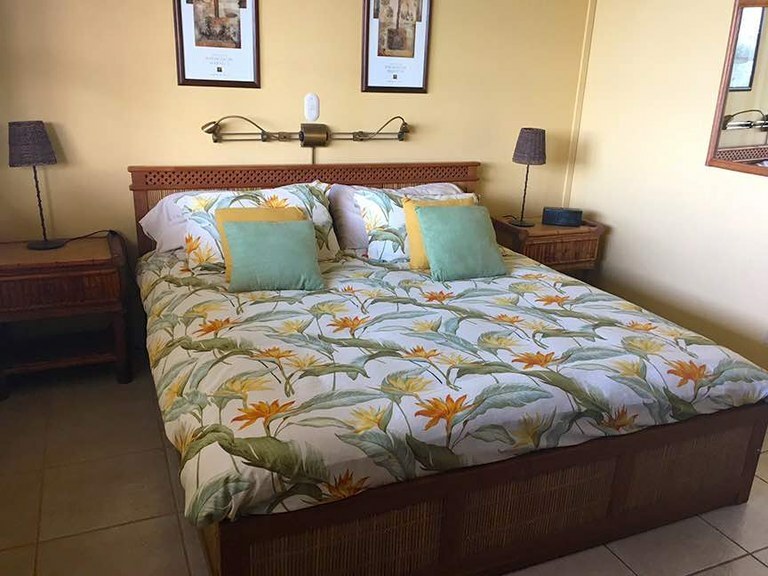 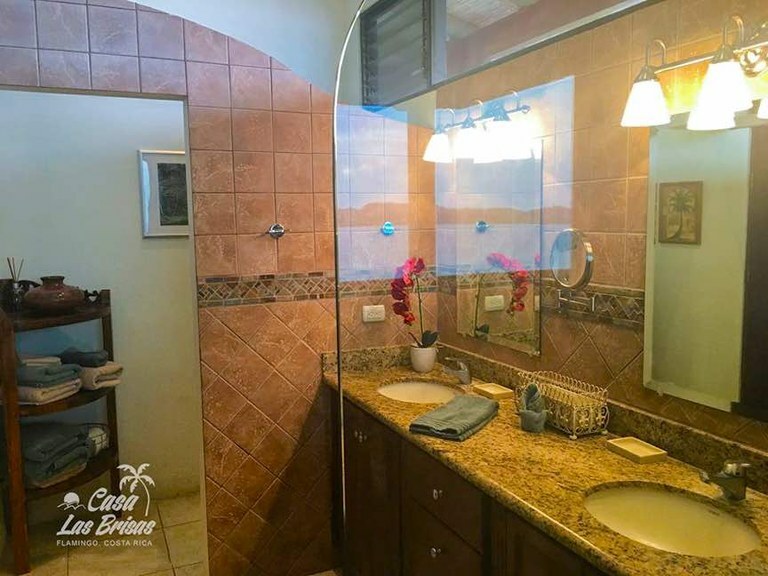 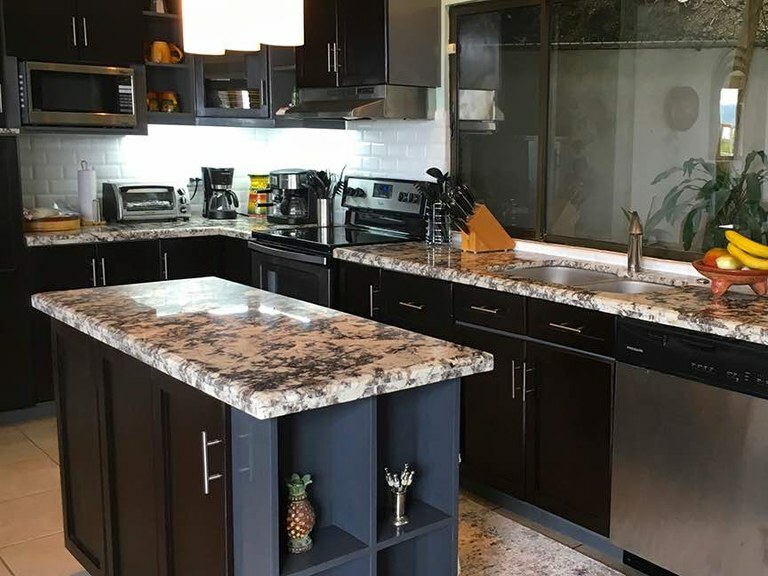 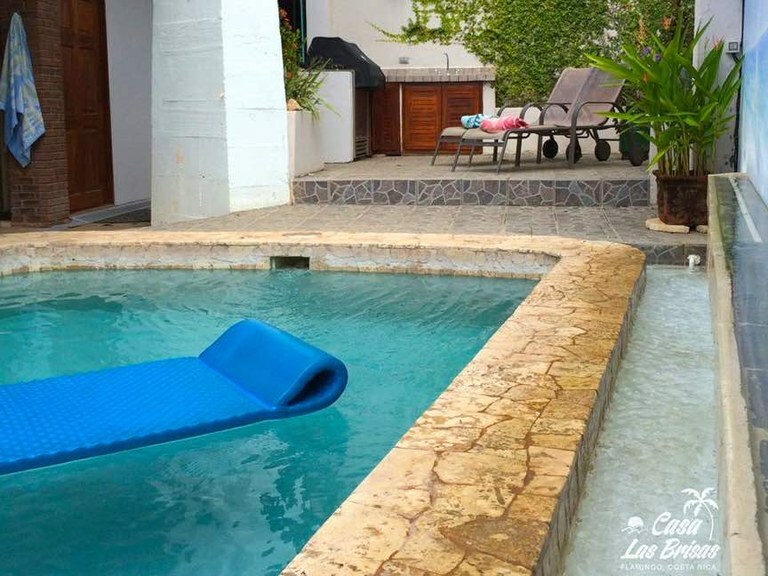 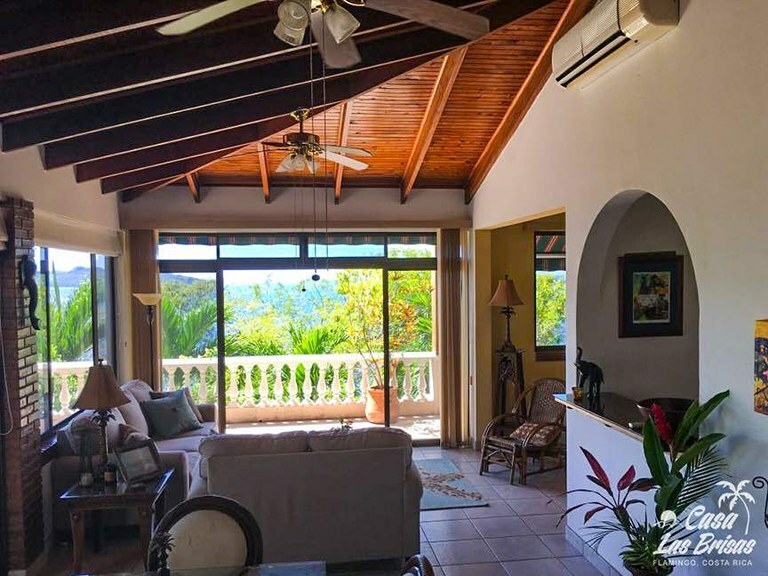 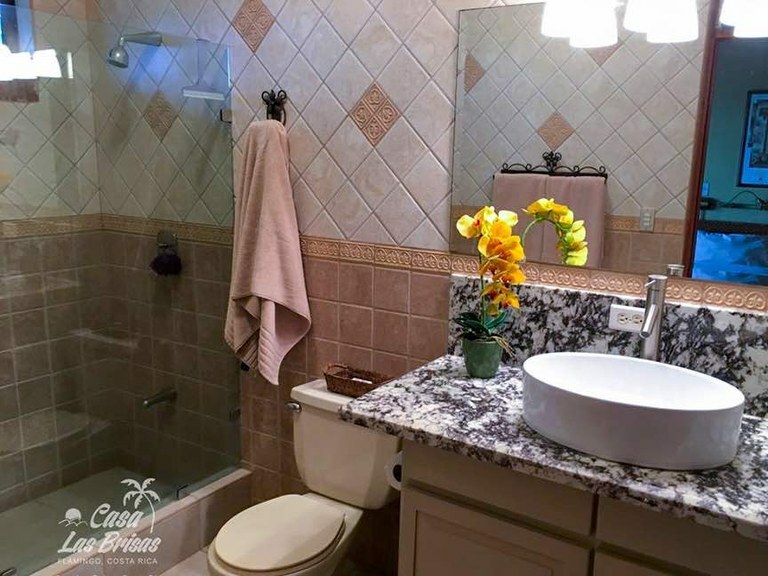 Casa Las Brisas has a nearby property manager who can provide concierge services and help you arrange any activities or tours you want to book. 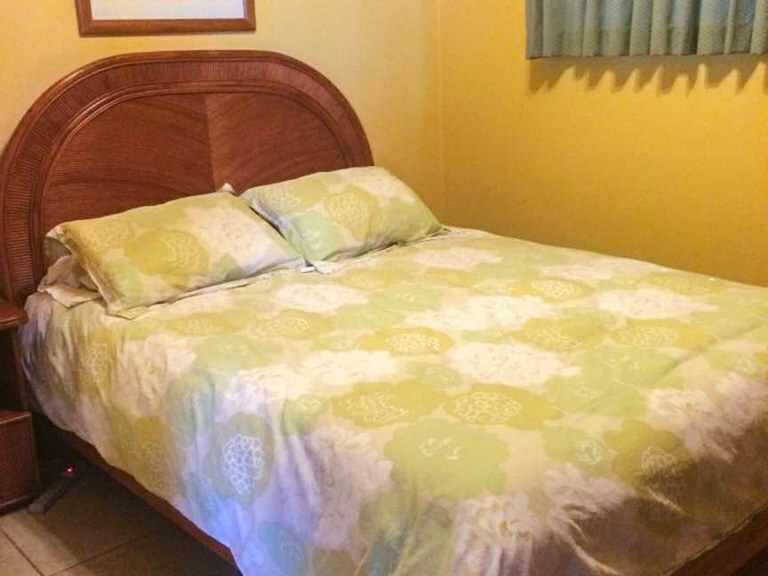 They can also quickly address any concerns or problems that may arise during your stay.